Mitchell Hamline will help you in your Indian law practice. Mitchell Hamline’s Indian Law Program emphasizes practical legal education. We will work with you to create a course of study tailored to your specific interests and career goals. Native Justice Scholarships allow you to stay in your community and learn Indian law. 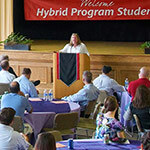 Eligible students must enroll in the Hybrid J.D. or Executive J.D. enrollment options and will pay no more than $10,000 in tuition each year. 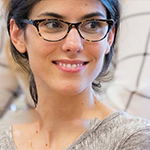 Our program is unique because our professors provide students with a high degree of individual attention. 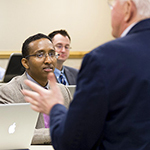 Faculty guide students through a specialized track featuring introductory courses such as Federal Indian Law and Introduction to Tribal Law. Advanced courses cover topics including Indian child welfare, Indian gaming, and cultural resources. 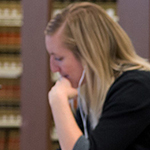 Students can participate in clinics that offer real-world contributions to society and the law. Students learn from professors who have spent their careers working with Indian tribes and indigenous people. Our Indian law professors have worked for the U.S. Department of Justice, nonprofit corporations providing technical assistance to tribes, large law firms with Indian law practices, boutique firms focusing solely on Indian law, and Indian tribes themselves. They are scholars and practitioners with real-world experience.